Baby monitors have come a long way! Most parents use them to keep a track of how the baby is sleeping, when he needs a feed, or if he wakes up suddenly in the night. The monitors are like eyes at the back of your head as they help you keep a watch on your baby. Purchasing a breathing monitor for baby is a wise decision, especially if that also checks the baby’s breathing pattern. MomJunction provides information on the uses and the best breathing monitors available in the market, to help you pick the one that suits your needs. Newborns breathe periodically, and the pace is not constant (1). It could be too fast or too slow. Your baby could pause for a few seconds and then breathe again. 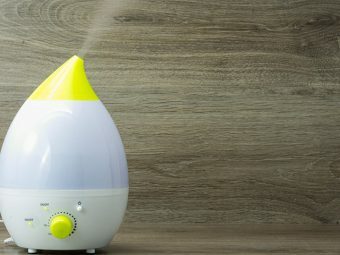 These uneven breathing patterns can stress you out, and the best way to reduce stress is to use a baby breathing monitor. Most breathing monitors are designed to observe baby movements or breath patterns, and sound alarm in case there is a deviation from pre-set patterns. For instance, a monitor may sound an alarm to alert you if it finds that the baby is not breathing for 20 continuous seconds. If the baby had an ‘Apparent Life Threatening Event’ (ALTE) like absence of breathing, or if the little one needs resuscitation, or is floppy, blue, or white. The doctor could suggest an apnea monitor to keep a track on the baby’s heart rate and breathing. For premature babies who show persistent episodes of breathing pauses, have a slow heart rate for a few weeks, or if the baby has a chronic lung disease or sleep apnea. For babies with rare medical conditions which could cause severe breathing problems. There are a variety of breathing monitors available in the market today and to understand them better and buy the most suitable one, have a look at what they are like. Movement monitors: Unlike audio or video monitors, movement monitors can provide an extra level of safety. They are designed to alert you if the baby movements are absent or irregular for a preset time frame. These monitors are sensitive and can detect even the slightest of movements. Based on the location of the sensor, they are of two types. Mat Monitor: They are also called ‘under the mattress’ monitors. A baby’s movement can be recorded by this baby breathing mat placed underneath the baby’s bedding, in the cot. The device sounds the alarm if it detects a pause in the baby’s movements for 15 to 20 seconds. Such monitors can only be used on flat surfaces and are usually not beneficial while traveling. Movement Monitor: These monitors are attached with a tape to the baby’s tummy or diapers, or clothing. If there is a pause in the baby’s tummy movements for more than 20 seconds, the alarm sounds. These monitors are more portable and useful while travelling. It cannot be easily fitted after the infant falls asleep. Even if it is attached before the little one falls asleep, it could get displaced due to bedtime preparations and trigger a false alarm. It is not suitable once the baby begins to roll over or crawl. If the infant rolls onto its stomach, it is difficult to hear the alarm. Heart and breath monitors: These monitors register chest movement and the heart’s electrical activity through two electrode dots attached to baby’s chest. 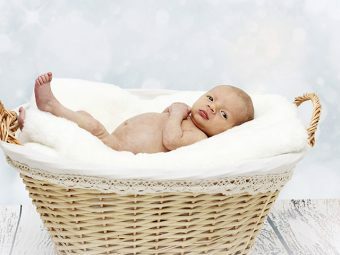 The heart alarm is set at a heart rate of 60 beats per minute for older babies and 80 beats per minute for a young one. The alarm for the prolonged pause in breathing or apnea is set to sound if there is a delay of more than 20 seconds between two breaths. These monitors are portable and come with a rechargeable battery. They could also comprise an event linked computer chip, which records the alarm. Oxygen measurement monitors or oximeters: Oxygen measurement monitors are mostly used in hospitals and rarely at home. The alarm is set in such a way that it sounds if the oxygen percentage of the skin falls below a limit, mostly around 92% (2). Buying a baby breathing monitor is a complicated task. There are several factors worth considering before buying a breathing monitor for your baby. The best monitor should alert you when the baby is in danger. It should watch for the two vital signs of your baby such as heart rate and breathing. It should not wake you up with false alarms. It should help you listen to your baby’s cries and to anything happening in your baby’s room. A few video monitors allow you to both view and hear. The best baby monitors are ones that are reliable, easy to use, and portable. A few monitors sold commercially in baby stores may not be compliant with approved standards. Check the extensive features of the breathing monitor including audibility, area coverage, and, battery longevity. The baby monitor breathing sensor should be highly sensitive and should be able to keep an accurate track of your baby’s breathing patterns. The portable monitor can be clipped over the waistband of the baby’s diaper. It is travel friendly and will monitor baby breathing while sleeping. It is an ‘out-and-about’ monitor, which is not restricted by conditions imposed by other monitoring devices. Its unique stimulation feature vibrates if the device senses no baby movement for 15 seconds. If the baby does not move within 5 seconds of vibration, an audible alarm gets activated. Snuza Hero Baby Movement Monitor comprises no wires or cords, which can otherwise potentially harm the baby. Hypo-allergenic and medical grade plastics are used to manufacture the device. No radio frequency signals are sent or received. The product is three-in-one baby monitoring system built on Snuza Hero baby breathing movement detection monitor (featured above). It also includes the Snuza Video. It is popular for its accurate movement and breathing detection capabilities. The Snuza Video can be used along with the monitor or alone. The Snuza Hero can detect the slightest breathing motions, while the Snuza Video is an advanced camera featuring useful safety utilities. It displays crystal-clear full-color video and has auto-on infrared night vision. 2-way audio enables you to talk back to your baby. Additional features are voice-activation function, room temperature alert, and a digital zoom function. All the information transmits to the parent monitor unit. Parents receive an alert if the temperature crosses the baby’s comfort zone. warning, camera zoom controls, and baby feed timer. The digital wireless technology ensures zero interference. The product is expandable up to four cameras, offering all-around monitoring. Babysense Hisense 5S Baby Safe Infant Movement Monitor is devised to detect the cessation of movements in infants. The non-touch device monitors and detects even the slightest movements of the baby during sleep, through the mattress. The control unit is connected to sensor pads placed between infant’s crib or bed base and mattress. This breathing monitor for infants sounds alarm if your little one’s micro-movements halt or become irregularly slow. The passive sensor system has no contact with the baby and is safe. If the device detects no movement for over 20 seconds or the movement rate is below 10 micro-movements per minute, it sounds an alarm. One device offers all movement, sound, and video monitoring for your little angel. Under-the-Mattress Movement Sensor Pad senses and sounds alarm if no movement is detected for 20 seconds. 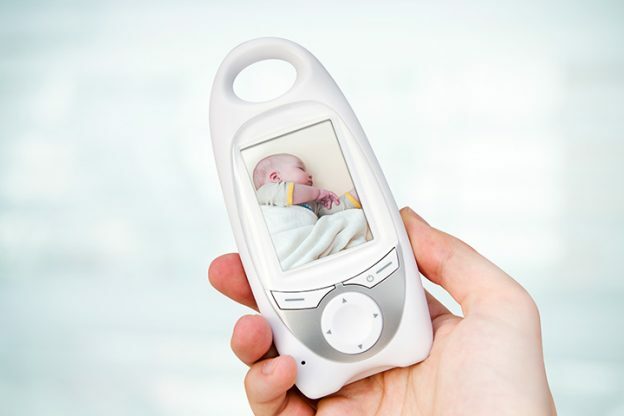 Color Video Transmission feature offers live baby video monitor feed from the Nursery Unit to the Parent Unit. Infrared Camera offers day and night vision. It can even stream video in the dark. LCD Touch screen enables the setting changes. The device features 2-Way Talk-Back and a motion sensor pad. The 2.4 GHZ digital transmission reduces interference to offer maximum privacy. It also features temperature display, battery backup during a power failure, and a night light. *Note: The Sensor Pad is compatible with a regulatory standard baby mattress, irrespective of its thickness or size. It cannot be used with memory foam mattresses, dual sided, mattresses containing hollow frame, or Purflo mattresses. The Baby Monitor for Breathing and Movement is FCC approved, uses low energy, and is CPSC compliant. It alerts about the little one’s stomach sleeping, blockage of breathing movements, falls, and unusual activity. The device is compatible with iPhone 5 and Android devices with 4.4 software and Bluetooth 4.0. It can be extended through the free MonBridge app available on compatible Android devices. Pro-actively monitors the baby with MonBaby Breathing and Rollover Baby Monitor in a Smart Button! The Universal design is compatible with any clothing. MonBaby’s technology sends live updates on the baby’s activity and breathing to your smartphone, 5 times every second. The Smart Button snaps easily on the baby’s clothing. You can use the device without the need of additional sizes to buy, as your child keeps growing. When placed in the same room with a smartphone, the MonBaby works optimally. It leverages Bluetooth Low Energy technology, built for the Internet of Things, to produce lesser radio frequency power than standard video/audio baby monitors and smartphones. The Smart Button produces no sounds and does not disturb the baby. It keeps monitoring the baby actively. Wi-Fi Smart Baby Monitor IPC100 is iOS & Android Compatible and comes with added features. It helps monitor the baby anytime, anywhere. It is easy to set up and secure to use. The MoveOxy feature allows the continuous surveillance of your baby’s heart and breathing rates. It is designed to provide audible alerts when the baby’s oxygen or heart rate level exceeds pre-set safety limits. The MoveOxy probe can be attached to the infant’s foot without giving him any discomfort. Mimo Smart Baby Breathing & Activity Monitor can identify the slightest of your baby’s chest movements, helping you to know the breath pattern. It alerts you about the temperature, body position, customizable breathing, and wake/sleep alerts, all on your phone. The technology in your pocket allows you to track your baby’s activity and sleep history at any moment. The Mimo app is available on iOS and Android. You can hear your little one’s coos and cries from your smart device. Even if you are not actively watching the app, it will notify you of changes in your baby’s activity such as wake-ups, irregular breathing, roll-overs, etc. Custom alerts are sent to your mobile. Machine-washable Mimo kimonos are available in 0-3 month, 3-6 month, and 6-12 month sizing. They are 100% soft cotton, and you can throw them in the dryer on low heat. It can be worn under additional sleepwear or on top of up to three cotton layers. The battery-powered movement monitor clips onto baby’s diaper to sense the slightest movements of the belly. It has a soft, flexible sensor that is snuggled against the baby’s abdomen. The portable product is designed to alert you if it detects complete stillness. If it detects more than 15 seconds of complete stillness, it sounds breathing alarm. The device can also detect irregular and weak movements. If less than eight abdominal movements are detected, the movement indicator light will flash orange and sound a warning tone. This feature by default is enabled but it can easily be disabled. Being wireless and cordless makes Oma safe for use in bassinets, Moses baskets, and playpens. A few manufacturers claim to have designed monitors to address parental anxieties about cot death. But, the USFDA has never approved any device or product that can prevent SIDS (3). 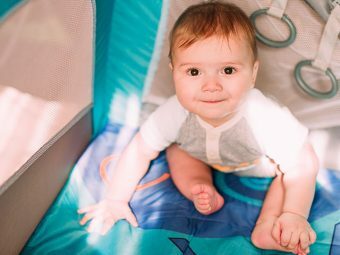 Both the National Institute of Health (NIH), and the American Academy of Pediatrics (AAP), recommend against the use of monitors for SIDS prevention. A lot of credible scientific research indicates that making the baby sleep on the back, in a crib, without being stuffed with toys and blankets is the best defense against SIDS. Experts recommend room-sharing of parents with the baby at least up to 12 months as a good practice to reduce Sudden Unexpected Infant Death (SUID) rather than relying on monitors. False alarms due to reasons such as technical problems, shallow baby breath, or displacement of the device, cause unnecessary concern among parents. According to a few pediatricians, it is normal for babies to stop breathing for a short time every 20 seconds or so and begin breathing again. So a breath monitor with pre-set alarm for 15 seconds may give false alarms. These monitors can create a false sense of security. Obstructive apnea is a case where breathing movements continue but oxygen is prevented from reaching the baby’s lungs due to an obstruction in the windpipe. The monitors cannot detect this condition. Other body movements unrelated to breathing may prevent the alarm from ringing when it should ideally do. It is important to remember that monitors are just alarms and not life-saving devices. The caretaker should know how to resuscitate the baby after responding to an alarm. Despite the recommendations by public health and safety agencies against the use of monitors, many users have positive personal reviews. Baby monitors are credible in detecting sleep pattern abnormalities. If you want to use one such device for your little one, use it following all the safe sleep practices outlined by AAP and NIH for babies (4). With so many options available, all you need to do is to make the right choice! By purchasing an affordable yet functional breathing monitor, you can keep a tab on your newborn’s breathing patterns. Did you buy a breathing monitor for your little one? Was it helpful? 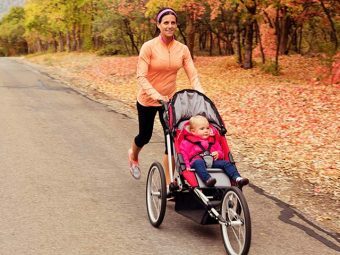 Share your experiences here, and let fellow mommies know why it is important to use!